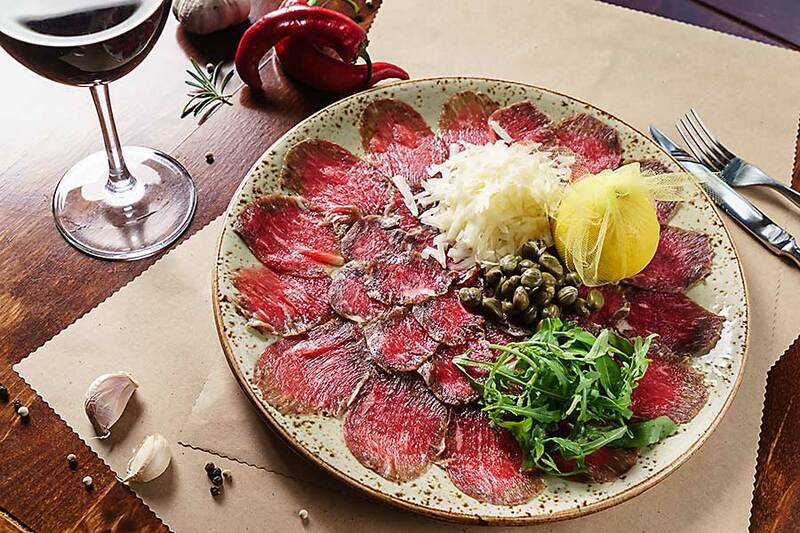 Carpaccio is a simple dish consisting mainly of raw meat and was served for the first time in 1950. 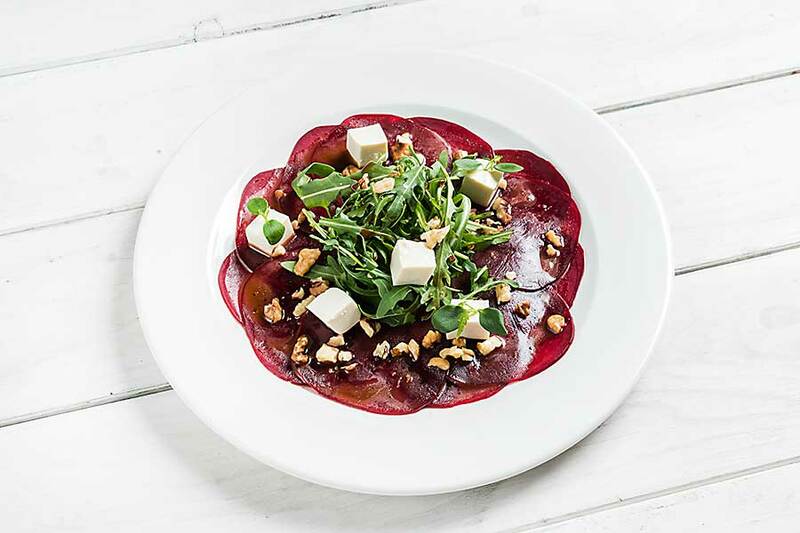 Carpaccio is served as an appetizer, it goes well with vegetable dishes and meat dishes. How to prepare carpaccio? Good quality meat is cut into very thin slices and decoratively placed on a plate. The whole is topped with oil or lemon juice and served with parmesan cheese or a salad. Carpaccio should be cut with a very sharp knife so that the slices of meat are as thin as possible and then firmly chilled. The author of name “carpaccio” is Giuseppe Cipriani, rich Venetian entrepreneur, founder of the famous Harry’s Bar, who made this dish for his friend, countess Amalia Nani Mocenigo. For health reasons, she couldn’t eat cooked or fried meat. Cipriani cut the raw meat into slices and added a little sauce based on mayonnaise, mustard and oil. 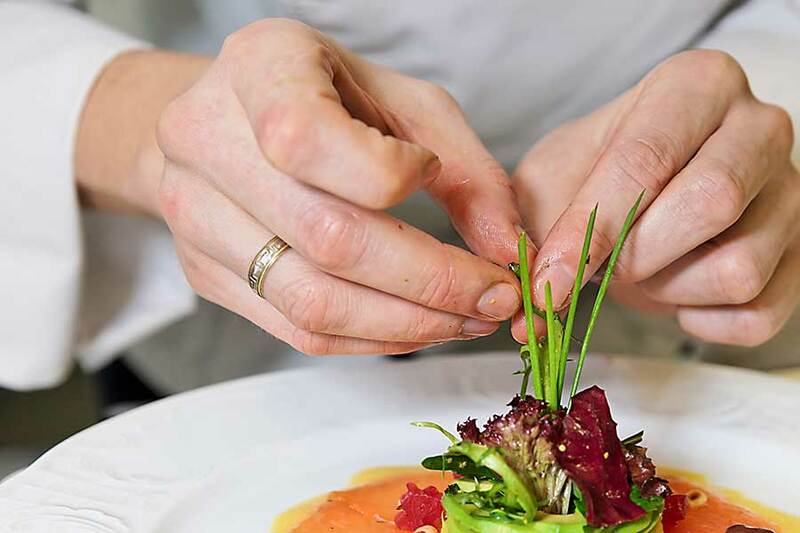 He associated the colours of the dish with the paintings of the famous Venetian artist, Vittorio Carpaccio. This is where the idea for the name of the dish came from. Maybe it’s a matter of Carpaccio, maybe not, but the fact that since then Cipriani’s place has become extremely popular and the owner became rich.